Modernity specialises in the collection and sale of rare and high-grade furniture, ceramics, glass, lighting and jewellery by the most renowned Scandinavian designers of the 20th Century. Our large collection includes design classics by Hans Wegner, Finn Juhl, Arne Jacobsen Alvar Aalto, Axel Salto, Berndt Friberg – to name a few – but we are also proud to present outstanding unique pieces. With a strong emphasis on post-war design, Modernity has throughout the years established itself as one of the leading galleries in northern Europe. Besides maintaining our much-frequented showroom in central Stockholm, Modernity has continuously supplied pieces to international collectors and museums, for example, to the MoMA and Cooper Hewitt Museum in New York, the LACMA in Los Angeles and the National Museum in Stockholm. Modernity is a regular exhibitor at various international art and design shows in London, New York, Paris and at home in Stockholm. 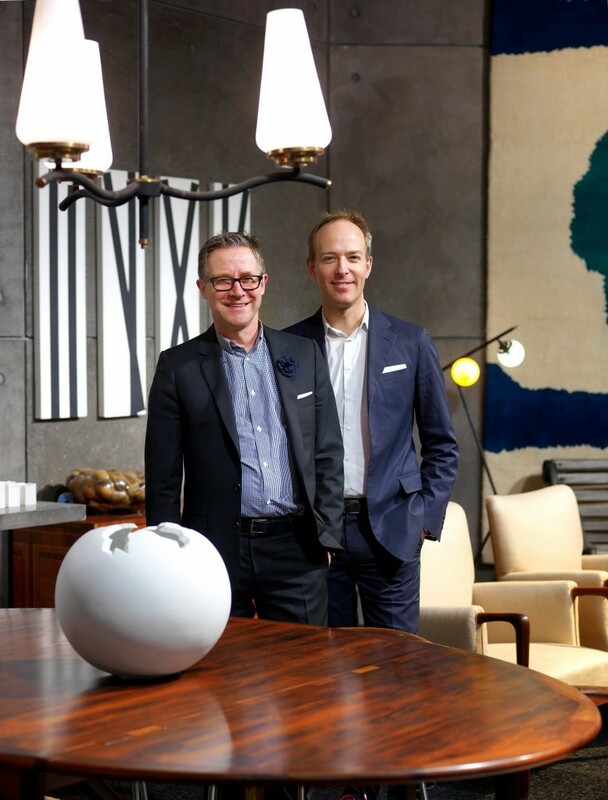 Andrew Duncanson, the owner and director of Modernity, regularly holds lectures on issues surrounding 20th Century Design and is often called upon to advise private collectors. Andrew has been a member of the jury for the Swedish Design Association's annual exhibition at Stockholm's Museum of Architecture. He is also a member of the selection committee at the prestigious Pavilion of Art & Design fairs in London and Paris. Modernity is a member of the Swedish Art & Antique Association, and consequently also a member of the International Art and Antique Association CINOA. The Modernity team is glad to answer any questions you might have about our pieces or about their possible transports. If you are unable to physically visit the gallery in Stockholm, you can call us or email. Foreign payments can be made by wire transfer or credit card. The buyer will be asked to cover the costs of transport, we do, however, assist with the organisation of packing and shipping. Our website is updated regularly, but please let us know if you would like to be added to our web mailing list, click here. You will then receive an email as soon as new pieces are available for purchase. Andrew Duncanson began his career in design retail in Scotland from where he moved to Stockholm and opened Modernity Gallery in 1998. The gallery is located in the heart of central Stockholm's design district, Östermalm.